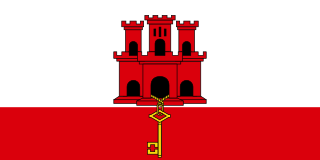 The politics of Gibraltar takes place within a framework of a parliamentary representative democratic British Overseas Territory, whereby the Monarch of the United Kingdom is the constitutional head of state represented by the Governor of Gibraltar. The Chief Minister of Gibraltar is the head of Government. 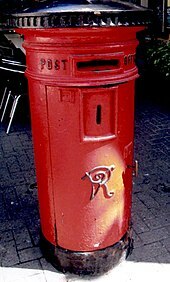 As a British Overseas Territory, the Government of Gibraltar is not subordinate to the Government of the United Kingdom. 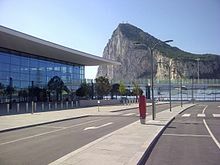 The British Government, however, is responsible for defence and external affairs but Gibraltar has full internal self-government under its 2006 Constitution. Gibraltar is represented in the European Union, having been the only British Overseas Territory to have joined the European Economic Community under the British Treaty of Accession (1973). Llanito or Yanito is a form of Spanish heavily laced with words from English and other languages, such as Ligurian; it is spoken in the British overseas territory of Gibraltar. It is commonly marked by a great deal of code switching between Andalusian Spanish and British English and by the use of anglicisms and loanwords from other Mediterranean languages and dialects. 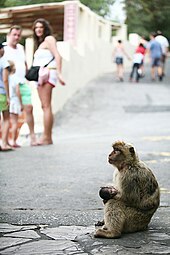 The culture of Gibraltar reflects Gibraltarians' diverse origins. While there are Spanish and British influences, a result of the territory's status as a British overseas territory and its proximity to Spain, the ethnic origins of most Gibraltarians are a mix of Andalusian Spaniards, Genoese, Maltese, Portuguese and British. The main religion is Christianity, the majority group being the Roman Catholic Church, then the Church of England. There is a long established Sephardic Jewish community, a number of Hindu Indians and a Moroccan Muslim population. 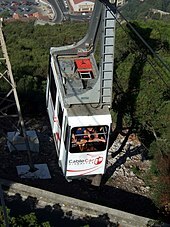 Gibraltarians of Genoese origin came to The Rock in the 18th century, with the Maltese and Portuguese following in the 19th century, coming to work and trade in the British military base. Spanish Andalusian origins are the result of generations of intermarriage with inhabitants of surrounding towns. Sir Joseph John Bossano KCMG is a Gibraltarian politician who served as Chief Minister of Gibraltar from 1988 to 1996 and Leader of the Gibraltar Socialist Labour Party from 1978 to 2011. He served as Leader of the Opposition from 1984 to 1988 and 1996 to 2011. 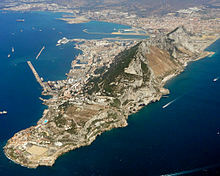 The Gibraltar territory currently contains an 800-metre (2,625 ft) long section of the isthmus that links the Rock with mainland Spain. 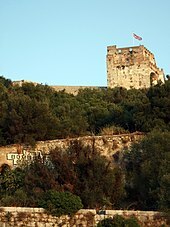 Spain does not acknowledge British sovereignty over Gibraltar beyond the fortified perimeter of the town as at 1704. The United Kingdom claims the southern part of the isthmus on the basis of continuous possession over a long period. 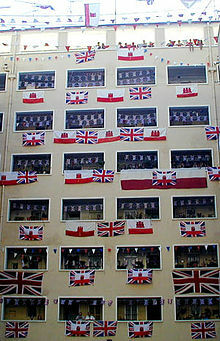 As Gibraltar is a British overseas territory, its sole official language is English, which is used by the Government and in schools. The eponymous Gibraltarian English accent is spoken in the territory. The Gibraltar Constitution Order 2006 was taken to a referendum in Gibraltar on 30 November 2006. A coalition of groups opposing the proposal held that a majority of 60% should be required to give effect to a new Constitution, quoting other instances, but the political parties held that the result should be decided by a simple majority in favour of the new constitution. The constitution was approved by 60% of the votes anyway. 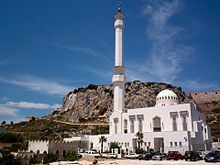 The Gibraltarians are a cultural group native to Gibraltar, a British overseas territory located near the southernmost tip of the Iberian Peninsula at the entrance to the Mediterranean Sea. 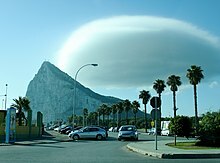 The Gibraltar sovereignty referendum of 2002 was a referendum which was called by the Government of Gibraltar and was held on 7 November 2002 within the British overseas territory on a proposal by the UK Government to share sovereignty of the territory between Spain and the United Kingdom. The result was a rejection of the proposal by a landslide majority, with only just over one per cent of the electorate in favour. The Gibraltar–Spain border is the international boundary between the British Overseas Territory of Gibraltar and the Kingdom of Spain. It is also referred to as "The Fence of Gibraltar" or simply "The Fence". Gibraltar is a British Overseas Territory located on the southern end of the Iberian Peninsula at the entrance of the Mediterranean Sea. 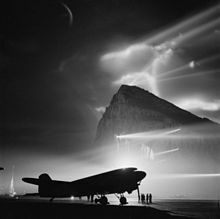 During the early days of the British administration, Gibraltar was maintained primarily as a military outpost with limited attention paid to its role as a trading post. Initially long term settlement of Gibraltar was uncertain but as Spain's power waned it became established as an important base for the British Royal Navy. Throughout the 19th century there was conflict between the competing roles of military and trading posts, leading to tensions between the civilian population and the Governor of the day. Some Governors encouraged the development of the civilian role in government, whilst others regarded it as a nuisance. 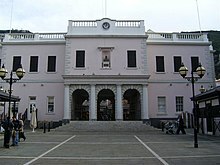 As a result, compared with other former British colonies, civilian Government in Gibraltar emerged largely in the 20th century as the needs of the civilian population were often considered by Governors as subordinate to the needs of the military. Since World War II, Gibraltarians have increasingly asserted their own individual identity. The Rock's relationship with Spain and the sovereignty dispute continues to affect the Politics of Gibraltar to this day. The effect of Brexit on Gibraltar concerns the status of Gibraltar after withdrawal of the United Kingdom from the European Union. The UK voted to leave the EU in the 2016 referendum and formally notified the EU of its intention to withdraw in March 2017. Gibraltar is not part of the UK but, as a British Overseas Territory, participated in the referendum and will, by default, cease to be a part of the EU upon the UK's withdrawal.